Nintendo unexpectedly announced a bunch of Breath of the Wild themed content for Mario Kart 8 Deluxe. Excited about the update, Mario Kart 8 Deluxe’s producer, Kosuke Yabuki, penned a little message Nintendo’s Legend of Zelda portal talking about some of the interesting things about the update. First off, the Link in his Champion’s tunic swings a Guardian Sword++ instead of the Master Sword when jumping. He also talked about how Breath of the Wild influenced the nature of the newly included Master Cycle. Being a dirt-bike, the Master Cycle can go off road and do some powerful drifts and jumps. Yabuki also talked about the inspiration behind the Breath of the Wild update. Although on the Mario Kart team, he and some of the Mario Kart developers had experienced in making Zelda games, this made them have a deep interest in bringing Zelda artefacts into Mario Kart. 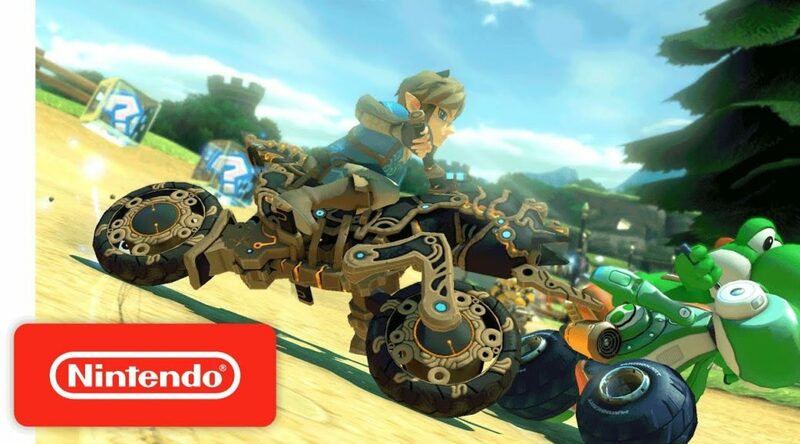 It was also when Zelda Series producer Eiji Aonuma told Yabuki that he wants to put a motorbike into Breath of the Wild that sparked Yabuki’s interest in putting the Master Cycle into Mario Kart 8 Deluxe, especially when he saw how well the Master Cycle played in the Champions’ Ballad. Still some parts of the Master Cycle needed to be modified for Mario Kart 8 Deluxe. For example, the wheels of the Master Cycle still turn horizontal in anti-gravity regions. The team had to also pay close attention to the Master Cycle’s mechanism and Paraglider’s cloth to make the content work on Mario Kart 8 Deluxe. You can read Perfectly Nintendo’s translation of Yabuki’s post here.